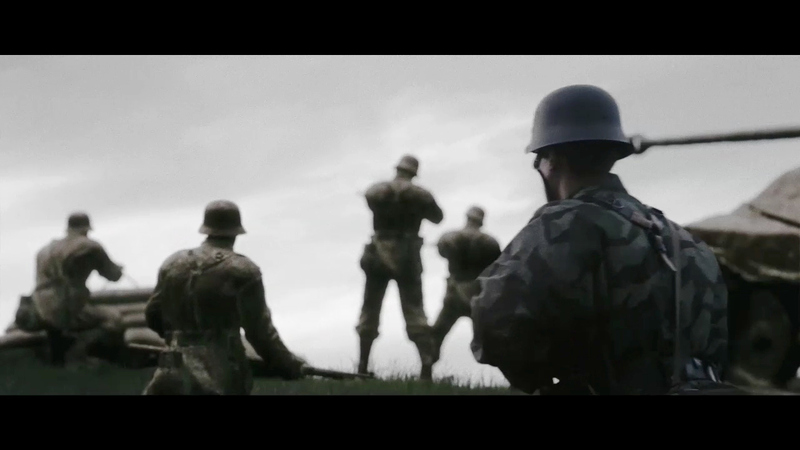 Relic/Sega unveils the latest video for "Company of Heroes 2: The Western Front Armies." The haunting trailer depicts the brutal fighting of World War II during the darkest days of the conflict. In the game players will experience and strategize some of the most ferocious fighting of World War II, as American soldiers are pitted against the German forces. Mill+ director Rob Petrie explains the creative craft behind the trailer: "The idea was inspired from the Korean War memorial in Washington DC. Having these statues locked in time walking through the tall grass really struck at me. "A huge inspiration was from original war photography. Capturing a soldier's expression in a moment of quiet can be just as powerful as an image taken in the midst of battle and chaos. It was important that the audience felt the statues belonged within their environment. I decided on the idea of Northern Europe as one memorial to those who fought, and you could stumble upon these statues in the woods or countryside of France, each bronze soldier locked in time and mid action, not overly heroic but simply as they would have been during the campaign." The music played a huge role in the film, with the score and sound effects bringing out the emotive quality of the film and gave it an over all poignant and reflective tone.